Think of your own sight. Seeing an image for yourself is always more powerful than looking at a 2-dimensional picture. It’s the same with dental diagnostics. With 3-D Dental Imaging, we can produce limitless views of your teeth, mouth and neck to better treat your dental concerns. But, the move to digital technology in dentistry is even more important for patients. That’s because 3-D Imaging and the benefits that come with it allow us to improve our work flow. Dental crowns that once took weeks to finish can be completed on the same day with our Cerec Crowns. Another type of dental work that can be completed more quickly and efficiently with 3-D imaging are Dental Implants. In general, 3-D Imaging helps us get to the root of your problem faster so the right treatment can begin. 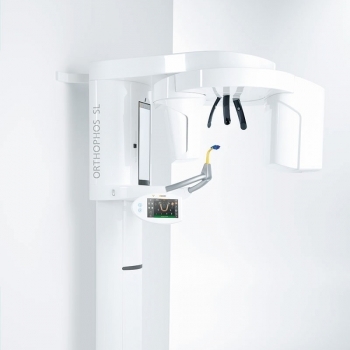 We think 3-D Dental Imaging is so important, we’ve developed it as a signature service at Dental Touch Associates. It takes skill and training to use newer technology. But we believe it’s worth it. Especially when our patients benefit from the results. If you’d like to see how 3-D Dental imaging can make a difference in your dental care, call us today to make an appointment with Dr. McLaughlin and his staff. Better images mean better treatment!